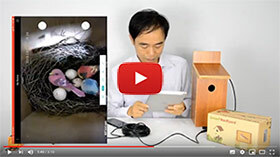 As WiFi birdhouse camera accepts input voltage from 12V DC to 5V DC, so it can work with power bank for a cable free birdhouse spy system. 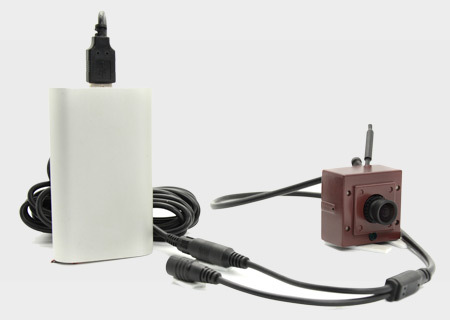 When the camera work with voltage less than DC10.5V, the infrared will be disable in order to save power. There is no night vision with 5V DC power bank battery. 10000mA power bank battery can supply around 48 hours continuous recording. NOTE: USB to DC5.5 cable is NOT included. 3. Connect USB to the power bank battery. The solar panel and voltage regular are required if you plan to build the solar panel birdhouse camera system.